Great Bay Community College (GBCC) a public community college, was founded in 1945 as the State Trade School of Portsmouth. 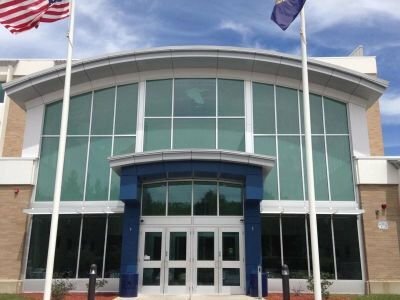 In 1949, it was renamed "New Hampshire Technical Institute - Portsmouth". 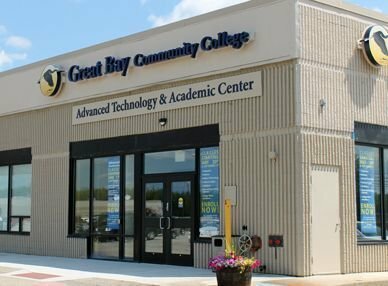 In 2008, the College changed its name to Great Bay Community College, the current name derives from nearby Great Bay, the largest tidal estuary in New Hampshire. The college is part of the Community College System of New Hampshire (CCSNH) and is accredited by the New England Association of Schools and Colleges. The main campus is in Portsmouth at the Pease International Tradeport with an additional campus in Rochester. For almost 75 years, Great Bay has been improving the lives of New Hampshire’s residents by providing affordable, accessible, quality education and training programs that align with the needs of New Hampshire’s businesses and communities. Great Bay is dedicated to the educational, professional, and personal success of its students; a skilled workforce for our state’s businesses; and a strong New Hampshire economy.